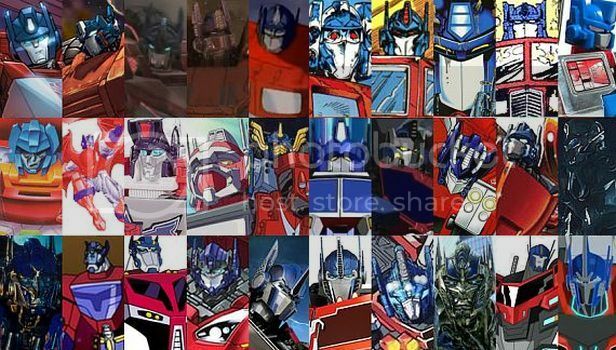 Identify each of these incarnations/versions of Optimus Prime as quick as you can without looking anything up! All of these are left to right. Top: Don't know, War Within (Just remembered), Don't Know, Fall of Cybertron, G1 Cartoon, G1 Marvel Comics, Not sure, Marvel Comics G2, Not sure, G2 Laser Prime. 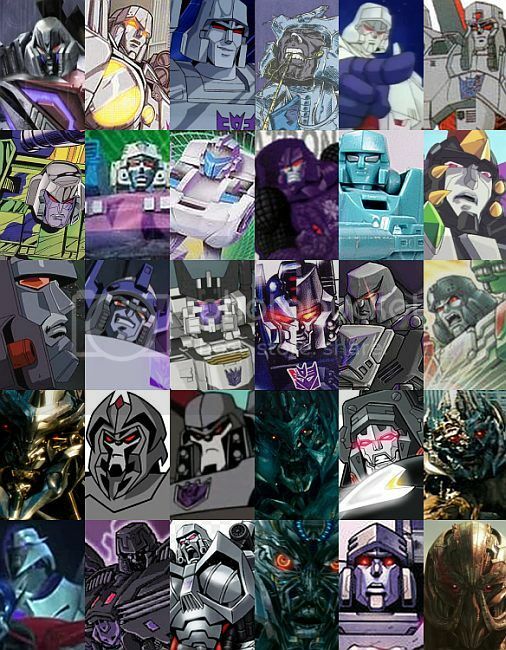 Middle:G2 Go-Bot, Beast Wars Convo-bat, Machine Wars, RiD Car Robots, Don't know, Don't Know, G1 Star Convoy, Don't Know, Alternator Kiss Players, Don't Know. Bottom: Movie!, Animated, Comic Adaptation of Animated, Binaltech? ?, Transformers Prime, Prime Beast Wars, ROTF, RiD 2015, Not Sure. Yeah... I don't know Prime like I thought I did. Round 2: Same rule as before, but now with Megatrons! 10: it's not an Amazon exclusive, it was a regular store release. But it was a Japanese exclusive, so half a point! 18: I accepted "Classics 2 pack"
I almost put that answer for First Row #4, but I didn't see any other "versions" of him in the other photos, so I thought it might have been a comic thing. Transformers comics are (regrettably) my biggest weak points in TF lore. I didn't realise that about #10. Did we see that release here too? I only ever knew it as a JP exclusive.